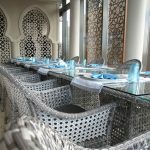 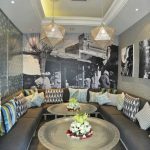 ElManza restaurant offers a traditional Moroccan dining experience that embraces authentic tastes and flavours, along with elegant modern touches. 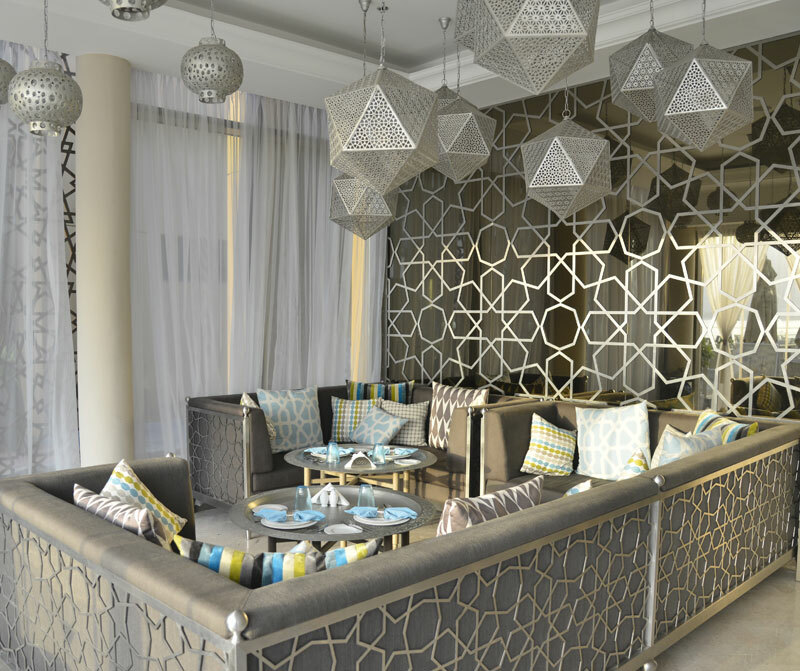 Once you set foot into ElManza, you will take pleasure in the charming atmosphere that transports you to a world of Moroccan ambiance. 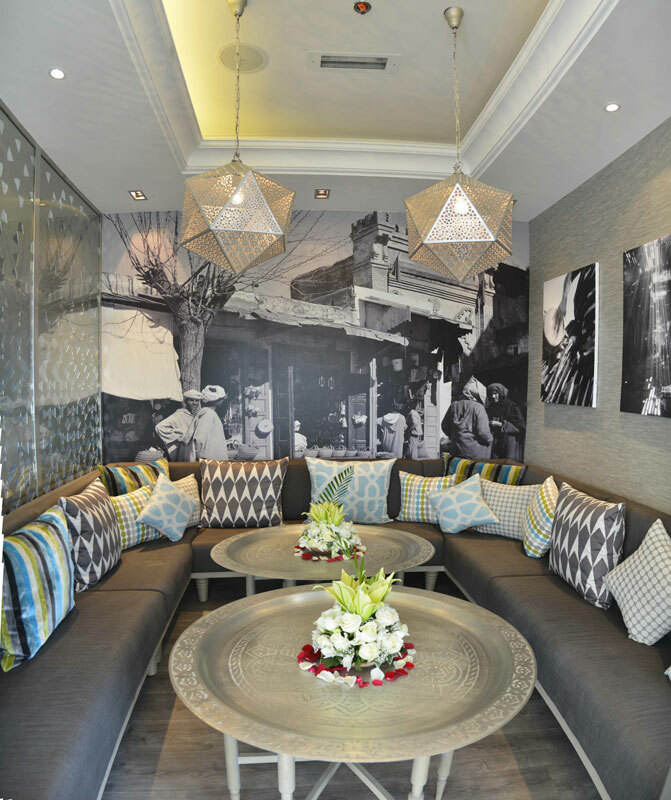 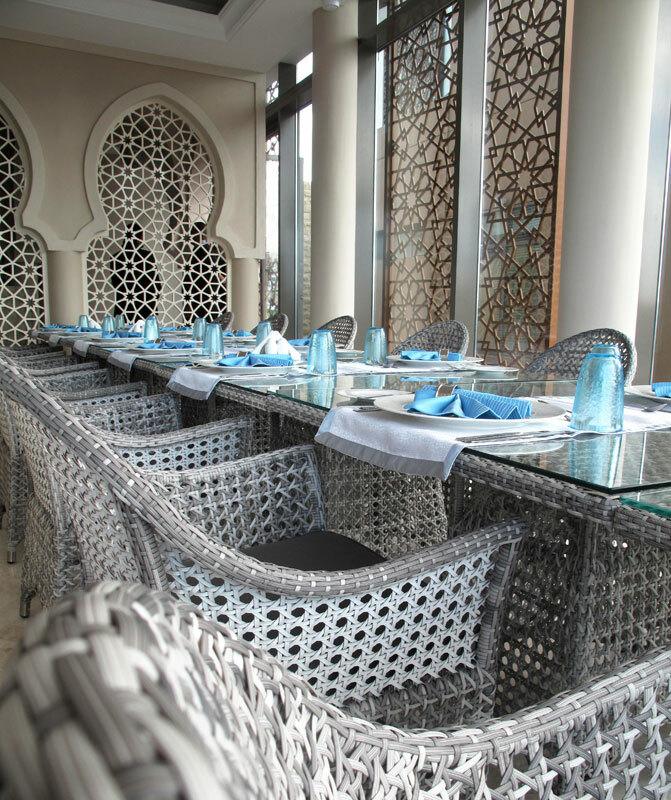 Amid open terraces overlooking the Sharjah Fountain, ElManza offers you the best dining table in the city. 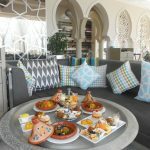 Once you sit back and relax, you will feel the love and passion that has been put into these traditionally prepared Moroccan dishes. 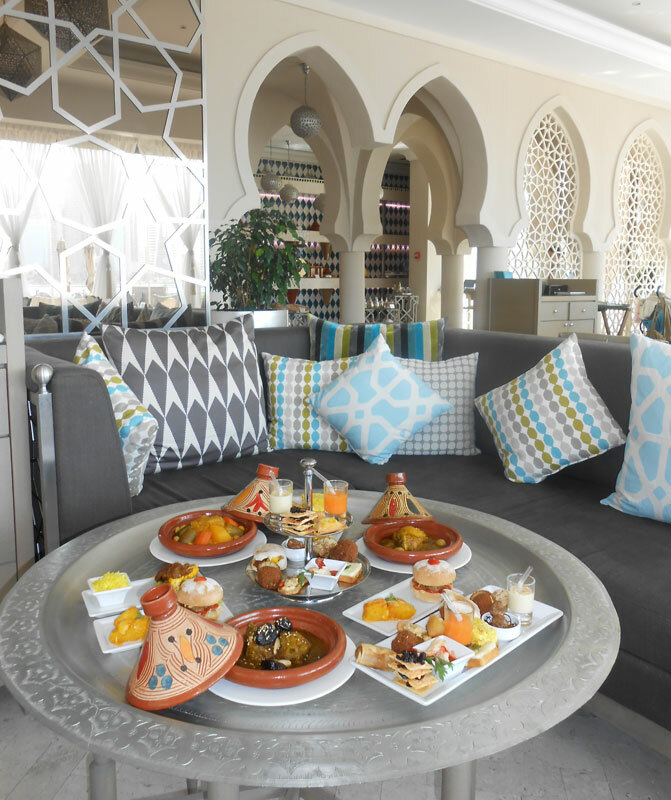 All dishes are prepared following traditional Moroccan methods, using fresh aromatic spices, olive oil and Argan oil which helps create delightful flavours.